Vacuum Circuit Breaker Panel in Outdoor Enclosure complete with CT, PT, Relay & Instrument Chamber. The outdoor panel is directly coupled with HT Flange of the Transformer with copper bus bars. The incoming of the HT Panel is provided either with Plug Socket or Cable box. Alternatively, a Load Break Switch or a Ring Main Unit can also be coupled with the HT bushing of the Transformer. Outdoor type Transformer with Off-Circuit Tap Changer and standard fittings as per IS/IEC standards. The Transformer has HT Flange with bushings to be coupled directly with the outgoing of the HT Panel and LT Flange with the incoming of LT Panel. The Transformer can be either Oil immersed type or Dry type. 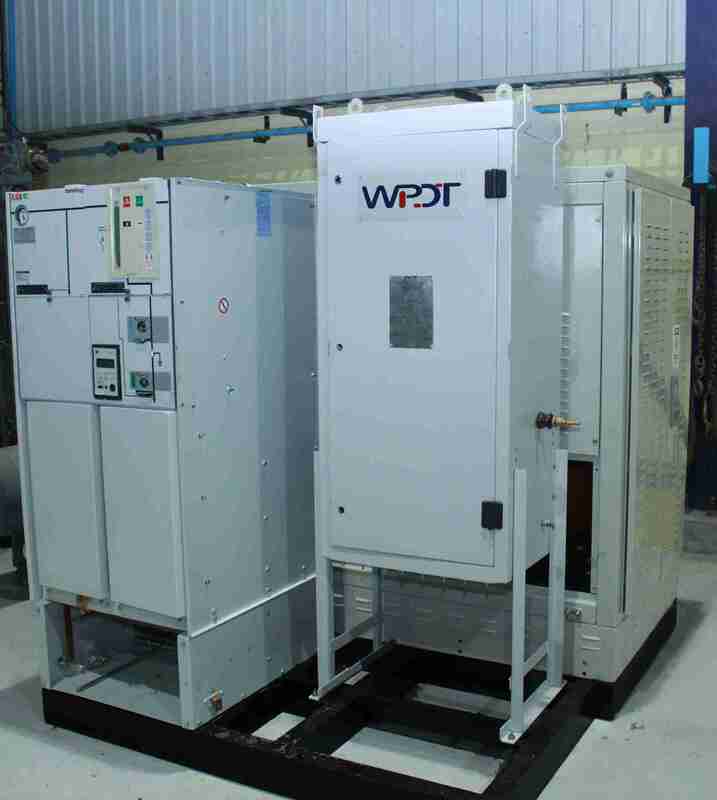 With Dry type Transformer the total unit can be housed in a single outdoor type enclosure in place of three separate units. LT Panel is outdoor type comprising of one or more Air Circuit Breaker or MCCB either in single or board formation suitable for a System Voltage of 415V,3-Phase, 50Hz. Incoming of LT Panel is directly coupled with the LT Flange of the Transformer. The outgoing is either Cable Box or Plug & Socket arrangement for feeding power to LT equipment.